Best local selection of compliant rifles? I’m thinking of investing some of this years tax return in a new rifle. I don’t want to build a rifle, and I’m not looking for fixed magazine. With those points in mind, can anyone tell me what local dealers have a good selection of compliant options in stock? I have a budget of around $1200. Thanks all. what do you want to do with such a rifle . there are a few good shops , what town do you live in ?? what caliber are you looking at . Go to Campsite. They’re good people and they’ll take the time out to make sure you get a firearm that you’ll be happy with. I cannot say enough good things about that place. Check out s&p they got a good selection also. Just a suggestion.....and you'll have plenty of money left over. What kind of shooting do you plan to do with it? Stretching the legs of a good, precision rifle is very limited on LI. Within your budget you should be able to pick up a nice rifle with mid range glass for the 200-300 max you are likely to encounter here. On a build you could invest more in the glass and still end up with a nice rifle. If your just just looking for a solid, reliable shooter maybe look at CMP and have enough for almost 2 M-1’s. 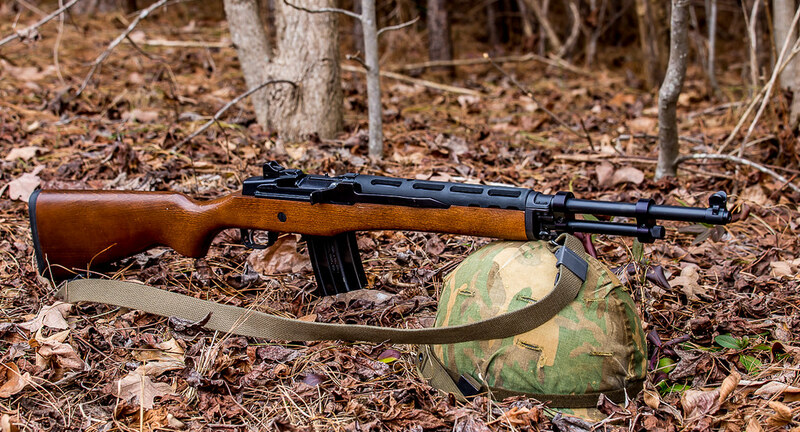 A mini 14 or a M-1A are nice options too. No, no they don’t. They do have gangbangers on the street outside. I’d rather be surrounded by MS-13 than give DSI a dime. I’d go for a compliant M1A before an AR with one oft hose stupid looking thorsden stocks. Fixed mag M1A stripper clip Fed sounds a lot better to me. I have one of those. While I’m not interested in selling mine I can tell you it’s a good AR if you just want to throw a vortex red dot on it and have fun at the range. does appeal to me, but the prices on new ones are just a bit higher than I’m really comfortable with spending at the moment. I will try and take a ride to Campsite tomorrow and see what’s on the shelf. I'm not from Canada, I'm from just south of Canada. And for the record, NH has French Canadians like NY has Central Americans. It's funny. I remember going to my best friends house in elementary school. His name was Guy Porior. His mother sounded strange when she talked and at home his name was Gi Pwayay. You actually got a tax refund this year ? Go with the Mini 14 . In the same vein of an Mini-14 is the Ares SCR, too. AR caliber and avoids the Thorsden nonsense.